Accidents happen. Whether you bit down on something too hard at lunch or your child hit the monkey bars at school, teeth can chip, crack or break under certain pressures. If you live near Alpharetta, you have access to a team of talented dentists who are known for excellence in chipped tooth repair. We utilize the best materials and techniques in modern dentistry to ensure your damaged tooth is restored to its strongest and most attractive condition. When unexpected dental damage occurs, we value the importance of giving patients a comfortable visit and superior results. Our office offers emergency dental care for the entire family. It is important to know that when a tooth suffers injury, it needs to be repaired. Even a hairline crack in a tooth leaves the tooth more vulnerable to decay, infection and pain. Our dentists are qualified to detect tooth cracks using advanced digital imaging. We can recommend an effective solution so that your tooth regains optimal integrity and protection. Neglecting to fix a chipped or cracked tooth can lead to disruptive symptoms and costly dental bills down the road. Treating a cracked or broken tooth depends on the location and severity of the damage. 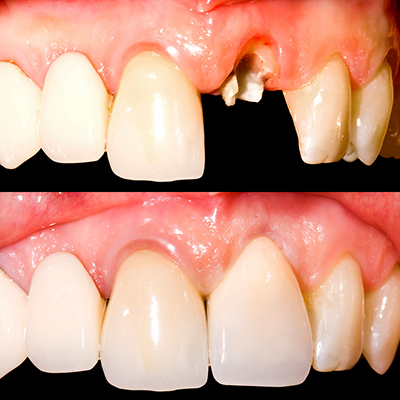 Most minor chips and cracks can be successfully repaired with a composite filling or tooth-colored bonding. In larger areas of tooth damage, an inlay, onlay or custom crown may be needed to properly restore the tooth. 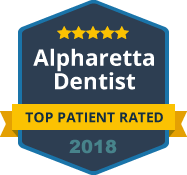 You can trust that our Alpharetta dentists are equipped to deliver a full range of restorative procedures under one roof. We create a comfortable experience for our patients and treat them like members of our own family. If you have a chipped or cracked tooth, contact the experts at ConfiDenT today. We can restore your smile the way you deserve.